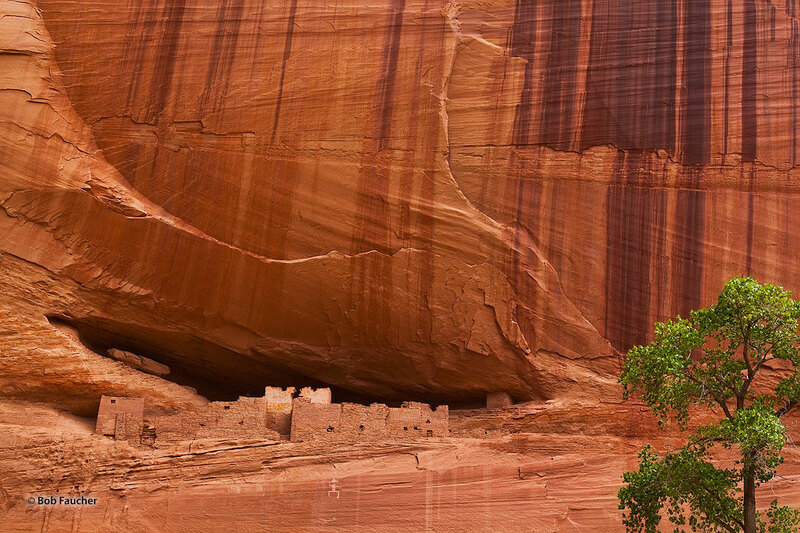 White House Ruins is an 80-room settlement scenically situated beneath a graceful, slightly overhanging cliff streaked with desert varnish in Canyon de Chelly. The hike down to these ruins zigzags down the flank of the canyon about a mile. It is the only area visitors are allowed to walk inside the canyon. The archaic petroglyph below the White House dates from 2500–200 BC. Photo © copyright by Robert Faucher.